Newsflash! 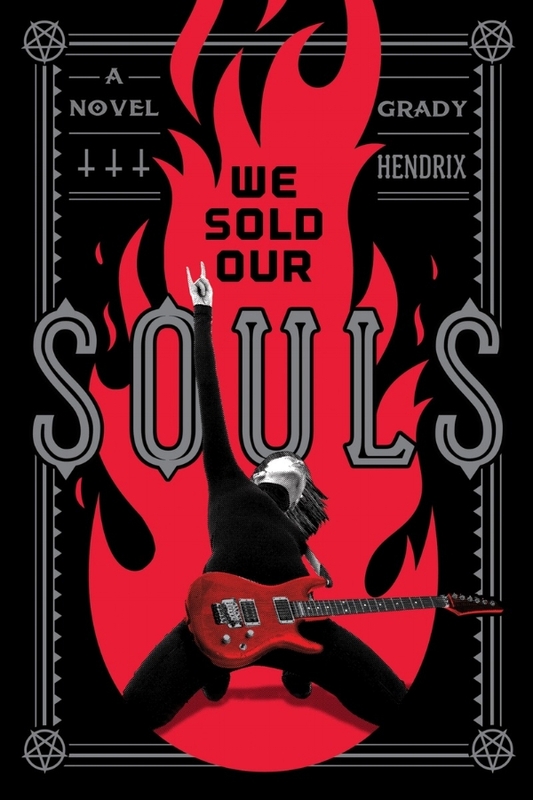 We Sold Our Souls is a finalist for the Goodreads Choice Award as Best Horror Novel of 2018. I’m up against some big celebrities like Stephen King and Anne Rice and I want Kris Pulaski to beat them. Badly. So go vote! Then make your friends vote! Then put on a false mustache and a Hawaiian shirt and vote again! Library Journal named it one of the best books of 2018! The Chicago Public Library selected it as one of their best books of 2018! Booklist chose it as one of their top 10 horror novels of 2018! Publishers Weekly calls it "...a gloriously over-the-top scare fest that has hidden depths...explosive...poignant..." but be careful when reading their review because it contains a LOT of plot details. The world is a prison, and only heavy metal can save our souls in this darkly comic riff on the Faust legend. Kris Pulaski’s metal band was about to break big in the Nineties when their lead singer sold them out and went off to become a solo act sensation, leaving his old friends behind to rot in rural Pennsylvania. Decades later, Kris has hung up her Gibson and finally gotten used to being a footnote in someone else’s success story when she learns the secret to their former lead singer’s success: he didn’t sell his soul to dark forces for fame and glory, he sold Kris’s. They told Kris not to be angry, they told her to be a good girl and not cause trouble, but now she’s pissed off and hitting the road one last time to find her old bandmates and confront the man who ruined her life. It’s a journey through an America darker than any Mordor Tolkien could devise and along the way she’ll learn that the occult forces that bought her soul aren’t corny devils carrying pitchforks, but the conspiracy behind the conspiracy, the shadowy men who rule our lives, the secret committees who put sedatives in our water and watch us from satellites, who've transformed our world into a vast feeding pen where the struggle, sweat, and fear of the 99% provides sustenance for the 1% who keep us asleep. Sometimes it’s not what you’re fighting for that matters, it’s the fact that you’re still fighting at all, and Kris Pulaski has never walked away from a fight in her life. A furious power ballad about never giving up, even in the face of overwhelming odds, We Sold Our Souls is an epic journey into the heart of a surveillance mad, prescription popping, paranoid country where only a girl with a guitar can save us from eternal damnation. After all, there has to be something in this world that's not for sale.